Youth Group is scheduled to meet Sunday, February 24 at 6 PM. Bring a friend! We plan to meet monthly to spend some time playing games, getting to know each other, learning about following Jesus, and making some plans for the year ahead. Please let Pastor Beth know if you plan to attend (315-287-2440). The early bird registration for YOUTH 19 is now open. 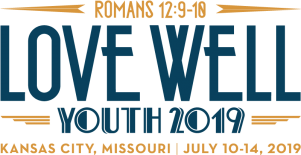 YOUTH 19 will be held July 10-14 in Kansas City, MO. YOUTH 2019 IS FOR ALL UNITED METHODIST YOUTH, GRADES 6-12, AND THEIR LEADERS. Join thousands for four days of discipleship, worship, Bible Study, service opportunities, and life-changing fun! Expect inspiration, support, and challenges to grow authentically as a world-changing disciple of Jesus Christ. YOUTH 2019 is the National Gathering for United Methodist youth and traces its roots all the way back to the first YOUTH event of 1988. YOUTH 2019 will provide youth and their leaders a chance to connect with each other, denominational leaders, and connectional agencies to help them discover the wide variety of ministries of the United Methodist Church. We really hope to see many youth groups from Upper New York at this event. After looking at all options for transportation, the CCYM Adult Coordinators feel our best possible way is to fly out from Buffalo. If enough youth groups indicate interest, we could even have our own charter flight. For more information, please contact Tony Hipes at tjhipes@gmail.com. Information about YOUTH 19 can be found at www.youth2019.org. Please check with the church office, 315-287-2440 or firstumcgouverneur, for more information.